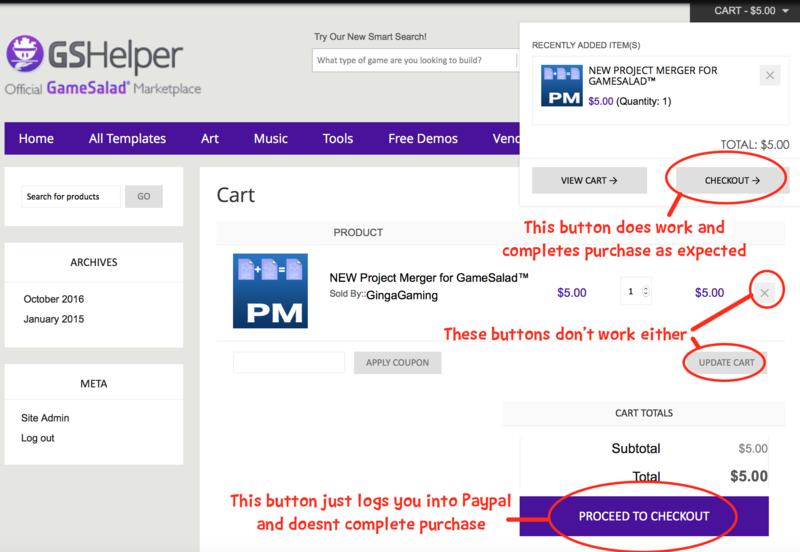 GSHelper Website Issue — Welcome to the GameSalad forum! But as you saw above, the email no longer exists! Until the issue is solved, I have had to revert to offering the tool for free which directly affect sales for both myself, you and GSH. Please can you address these issues yourself or contact GSH in another way other than the official email address and bring the Market Place into a stable state. I've passed this thread to @uptimistik. Also, please let us know what browser you're using (or if you're seeing this universally).